Historical significance: The Austrian portraitist Henrich von Angeli (1840-1925) was greatly favoured by Queen Victoria and her family, assuming the place previously occupied by Franz Xaver Winterhalter after that artist's death in 1873. 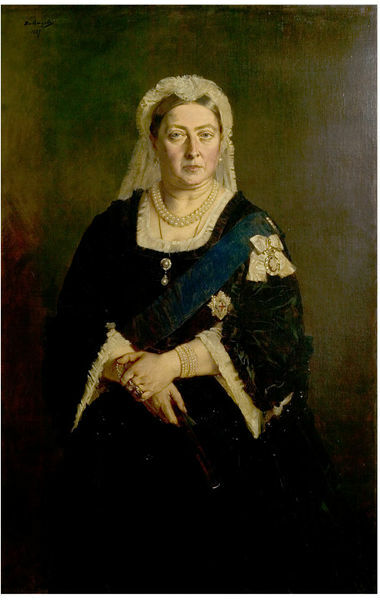 This is a close copy, painted by Von Angeli in 1887, of a portrait he had made of Queen Victoria in 1875. 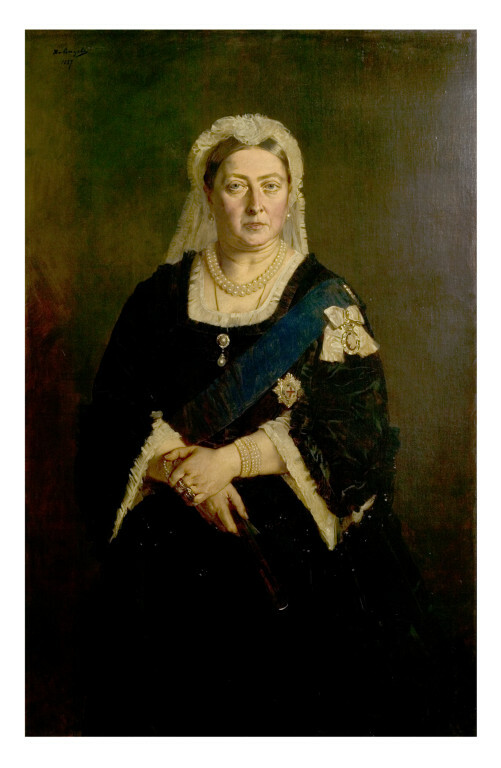 During the sittings in 1875, the Queen described the portrait in a letter to her daughter as follows: 'It is quite en face; hands crossed before me as I generally stand; my usual Evng. Cap - & a black satin dress cut square as I wear them in the winter.' 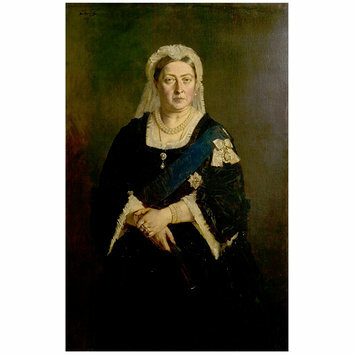 (1) Queen Victoria was delighted by portrait, describing it as 'absurdly like' and 'a marvellous likeness - as if I looked at myself in the glass' (2).